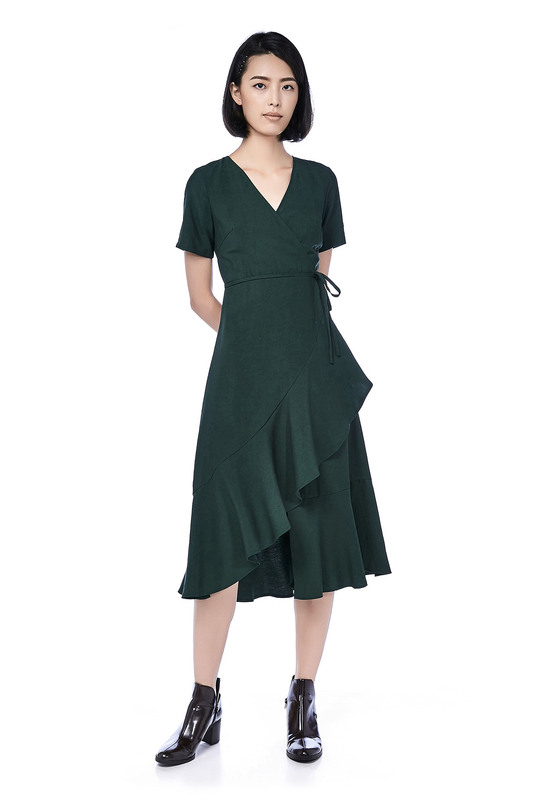 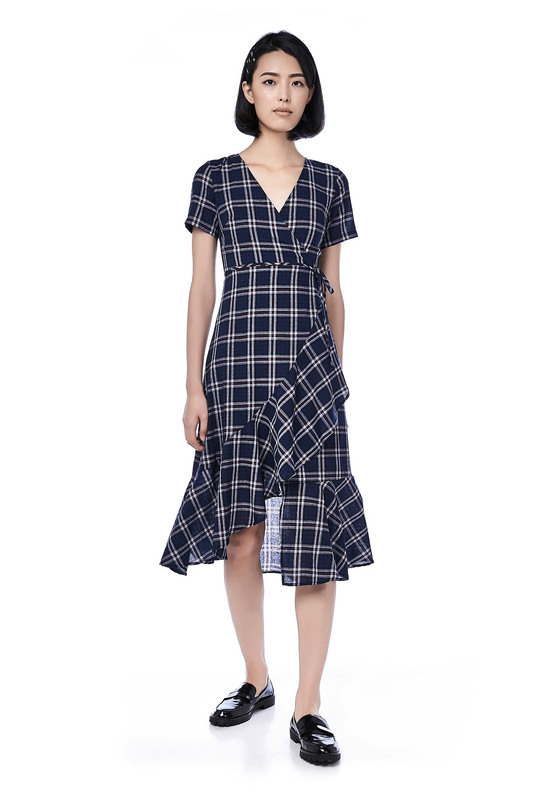 This short-sleeved dress is made from cotton. 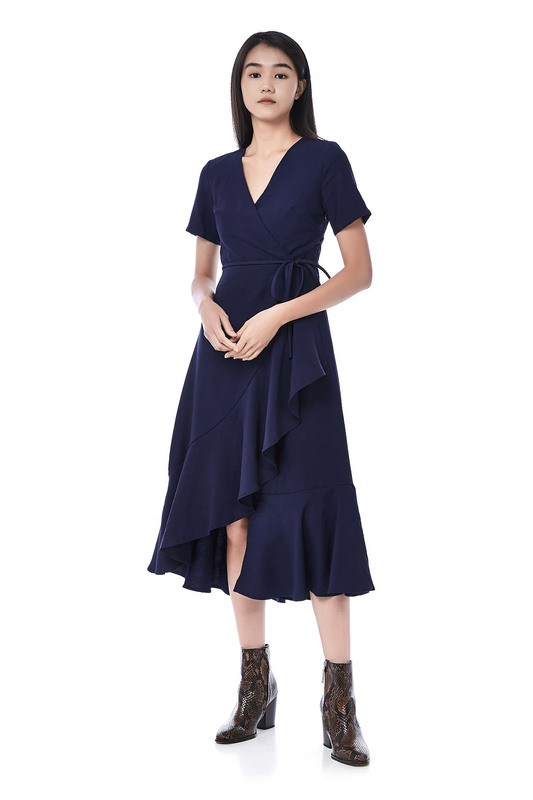 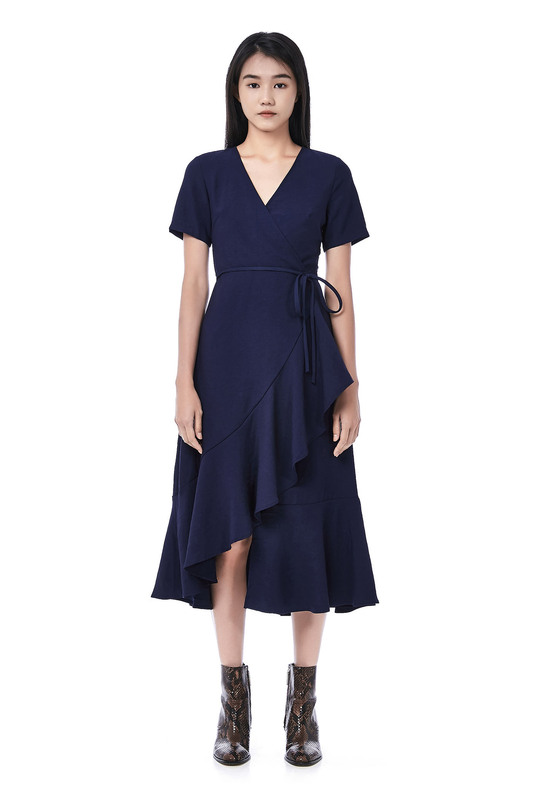 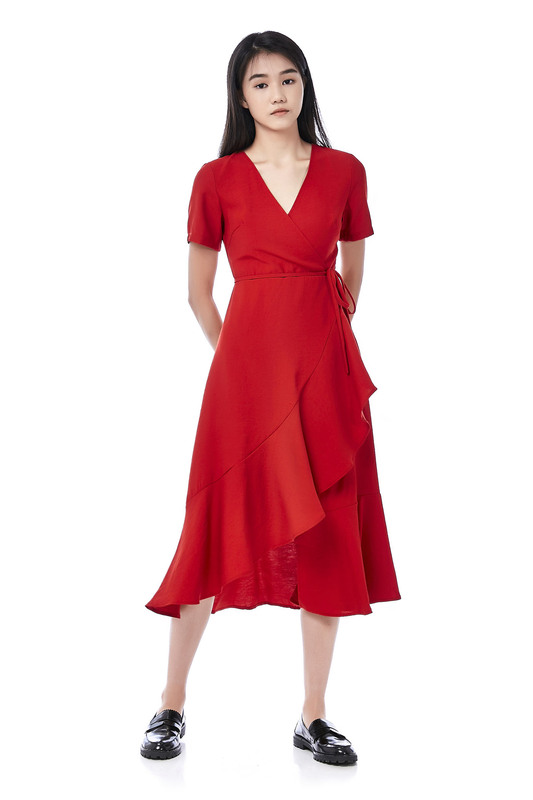 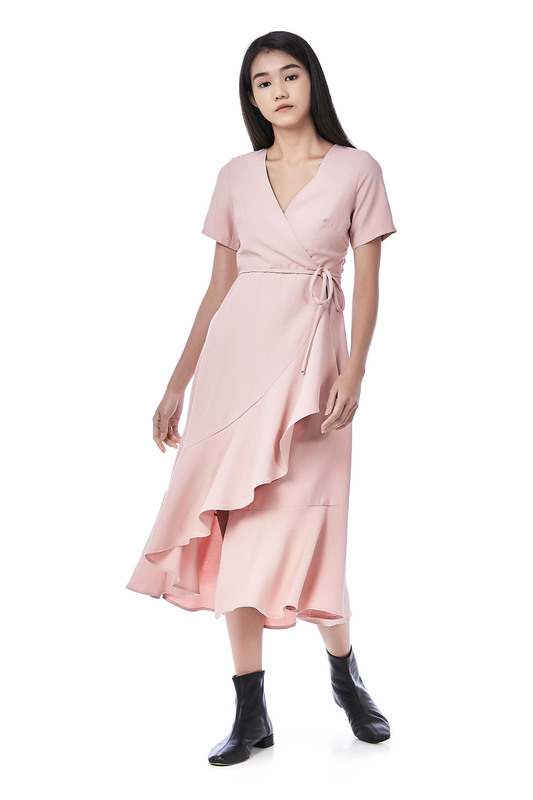 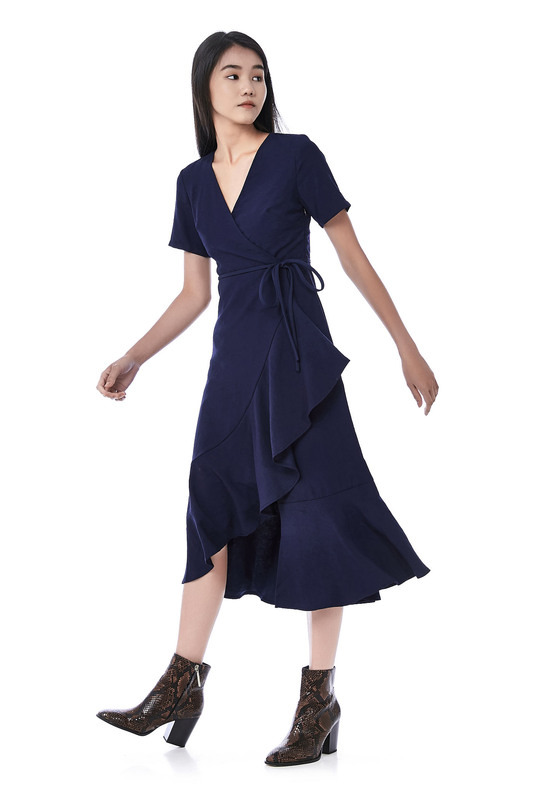 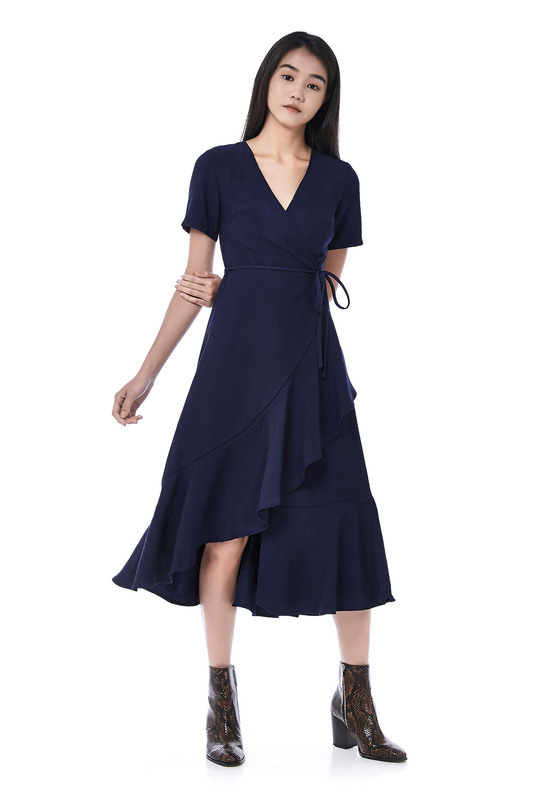 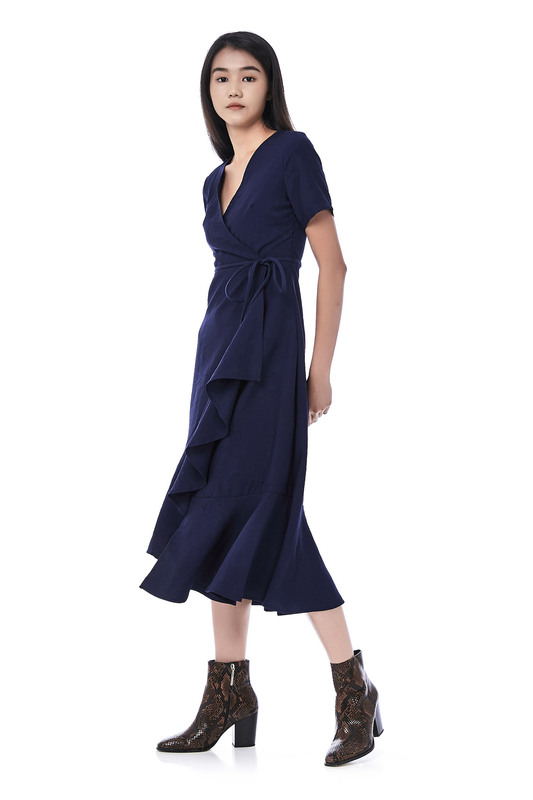 It has a cross-front v-neckline featuring a ruffled hemline, made in a slim fit. 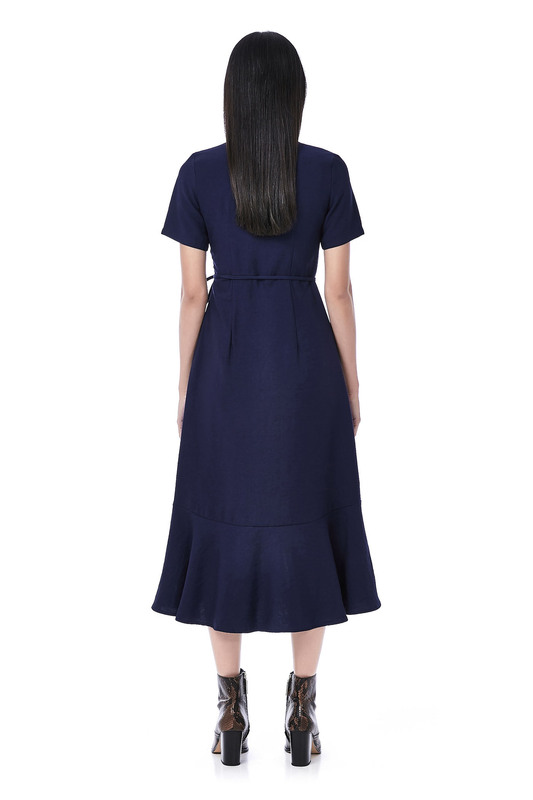 Zip closure on one side. 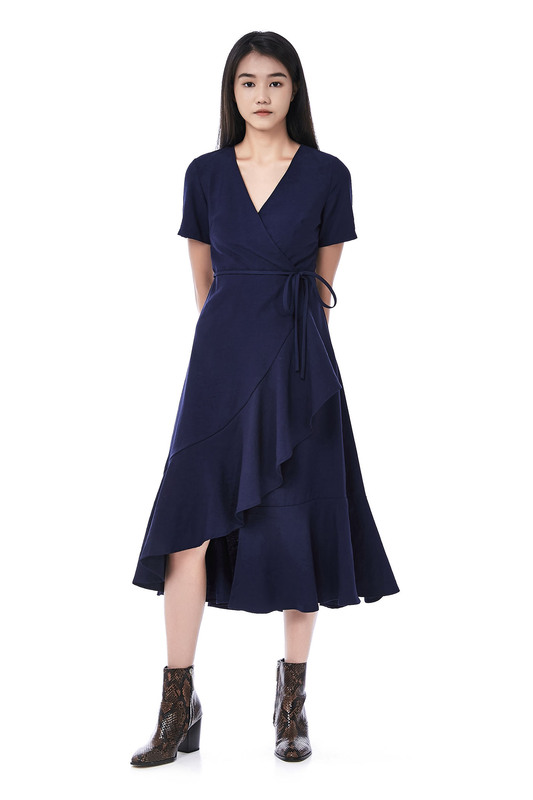 BUST 32" 33" 35" 37"
LENGTH 47" 47.5" 48.5" 49"